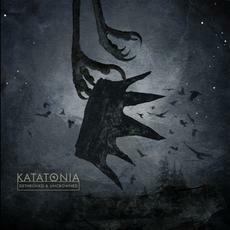 In August 2012 Katatonia released their ninth studio album: ‘Dead End Kings’. 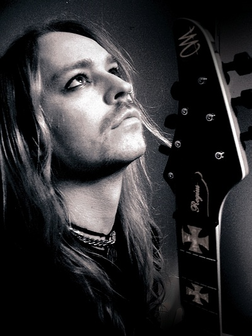 The album was the most successful to date, and cemented the position of the Swedish band as masters of dark metal. ‘Dead End Kings’ was released on the Peaceville label, the band’s home for the past 14 years. Many of the rave reviews that the 2012 album ‘Dead End Kings’ received, commented on the fact that the album marked another step – in the journey of the band – towards a more progressive sound. And so ‘Dethroned and Uncrowned’ allows them to further explore these elements – as they have re-worked the album, creating new moods and textures, while remaining true to the core of the songs. “The synopsis is simple and album title won’t lie; the drums will be dethroned and the distorted rhythm guitars will be uncrowned! Instead, we’ll place the emphasis on the many layers of ambience, with the melodies staying central and the vocal harmonies representing the heart of the album. ‘The Parting’ kicked off the original album – and this passionate piece had a sympathetic orchestral atmosphere – with a faltering beat – that conjured up, with sweetly gentle vocals from Jonas Renkse, a festering pallet of textures and vivacious fabrics. On the ‘Dethroned and Uncrowned’ recording – the track is still eloquent and rich, but now it has pools of sparkling sound that seem to have leaked from disruptions within the tissue. And ruffled – ever-so-slightly strummed strings – that are so thin and so undeniably delicate, that they threaten to fall apart at any second. “The One You Are Looking For Is Not Here” ( with vocals from Silje Wergeland – ‘The Gathering’ and ‘Octavia Sperati’) had a roughly palmed riff and small peaks of tinny guitars that spiralled around the central motif. It was a sweet disclosure – a mild essay – and an easygoing and compassionate piece. The new version has a crinkled edge and a sepia-tinged melancholy to it. The vocal is now accompanied by a fluid glossolalia of gently gurgling sounds. It is still a delicate and dewy duet. But now has a cold complexion and a fragile complexity. “Hypnone” had some discordant hammering before the grey-storm darkness brewed. Then gusts of dark-hale spat out and consumed the clemency of the voice. Now the keyboard is not so cruelly dissonant nor so violently hammered out. And a Spanish guitar bravely takes the rein. While a stench of synthy strings whispers in the putrid air, the guitar is easily picked up, and the voice shines like a mirage in the heat. The song still swings like a Foucault pendulum. It sways like a small boat in a breezy bay. Billowing and ready for upset. “The Racing Heart” seemed to be linked in symbiosis to the previous track “Hypnone” on the original album. It had a lively jazziness to it, and it seemed to be on a quest to sound cheerful and clean. Now it has a less zesty pace. It limps with an autumn-heart. The Spanish guitar rears up again. And then a great variety of forms lather together beautifully – and thoroughly melodramatically. “Buildings” was once grandly architectural – full of empty cavernous vaults and haunted diaconicons of power. In the new version, the property has fallen into disrepair and weeds have grown in a tangle – threatening to twist the structure to death with their strange convulsions. The epicentre of this crumbling beauty is the imaginative rippling piano that cascades in a boiling frenzy around the background. On ‘Dead End Kings’ – ‘Leech’ was a strange fruit. A light scratch of drums and a chatter of rhythm – along with occasional guitar plumes that rose into the jazzy air – to dissipate gradually when the bark of the sound got harsher. In the new rendering, the piano is slightly obscene – and the strings nod in their obedience. The voice is papery thin at times – but has the gravitas and emotional power to make you sit up and take note – when required. “It’s my heart you leech…” The words are pulled out like a bad tooth. This has always been a significant passage – but now has a certain sacred eloquence that makes it masterful. “Undo You” had slender smoke-like notes that twisted around the empty goblet of the structure like worms clinging to a host. Now the frosty track looks like an icy dew-pond in a winter forest. With tiny flecks of light sparkled up by guitars – these then flicker in an amber half-light. The ever-sighing strings waiver in torment throughout the piece, on their ceaseless and disturbing lament. “Lethean” (co-written by Per Eriksson) had a pattering beat and a rapid locomotion. The clever lyrics like “To weigh one’s heart against the oncoming dark…” cut deep into the heart. The razor-like guitar solo – when it arrived – was as cutting as a flame-bladed sword. On the new version, the emptiness is clear. The pace is less locomotive. The song now grows like fronds of ice on foggy glass. Hand drummed percussion permeates, and the bass guitar falls, like boxes from a shelf – until the song itself grows and spreads – like a yellow moon in a hazy sky. “First Prayer” was bleak and gloomy. A raining beat corkscrewed around the buzzing guitar and left jagged and disconcerting angles – for the voice to then negotiate. This song is still jutted and angular. But it has a fragility that evokes passionate visions. “Dead Letters” was chaotic and surprising. A darkening beat pervaded the song, and the riff was as dark as a cemetery template. But now there are moments of purity and light. And these help to lift the piece to a surprising new altitude. It has an immense organ sound that chills to the bone. The intricate finger-picking is here (and is found in all the new tracks) and this provides a lightly scratched surface that rasps at your skin unexpectedly. Then after some cool notes – the song starts to build up at an alarming speed … with an insistence that you can’t ignore – and is hard to forget. The lighter rendering on ‘Dethroned and Uncrowned’ is possibly more suitable for Jonas Renkse’s carefully annunciated words and his impassioned inclinations. The accompaniments are fragile at times – always full of perfect light and symmetry – but sometimes they are so delicate that they must be treated with absolute respect. In other words, this is not a head-banging album. 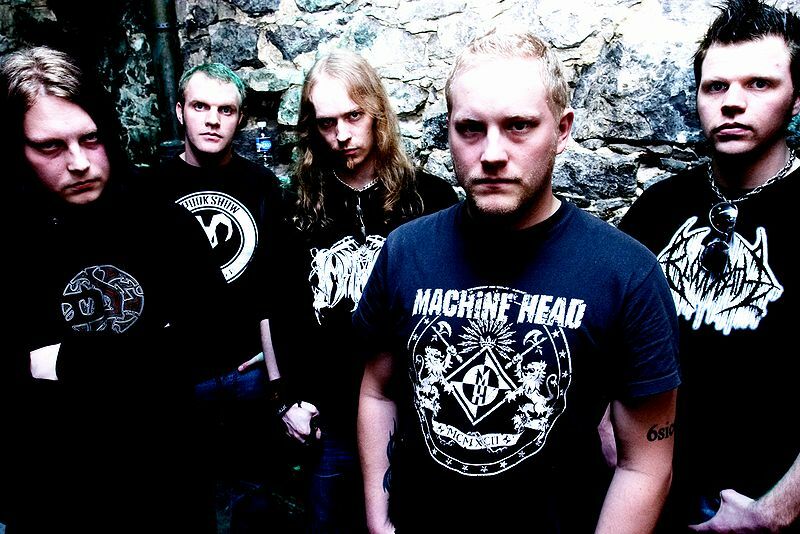 There are no monstrous riffs, no giant groaning bass lines or any heavy rhythms that kick in unannounced. It’s a delicate re-interpretation. But no less profoundly significant than the original recording. Is it worth buying this – as well as the original recording? Yes. It will appeal to prog-rock fans all over (and even to dark folk fans) and it will find affection from music lovers across the board- in a way that the progressive metal, perhaps, does not. 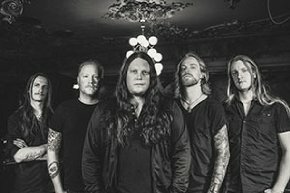 And if you love Katatonia, then there are enough new ideas and fresh concepts here to keep you entertained long into the night.